Helsinki-based geographer Topi Tjukanov is a wizard at using spatial data from new perspectives. 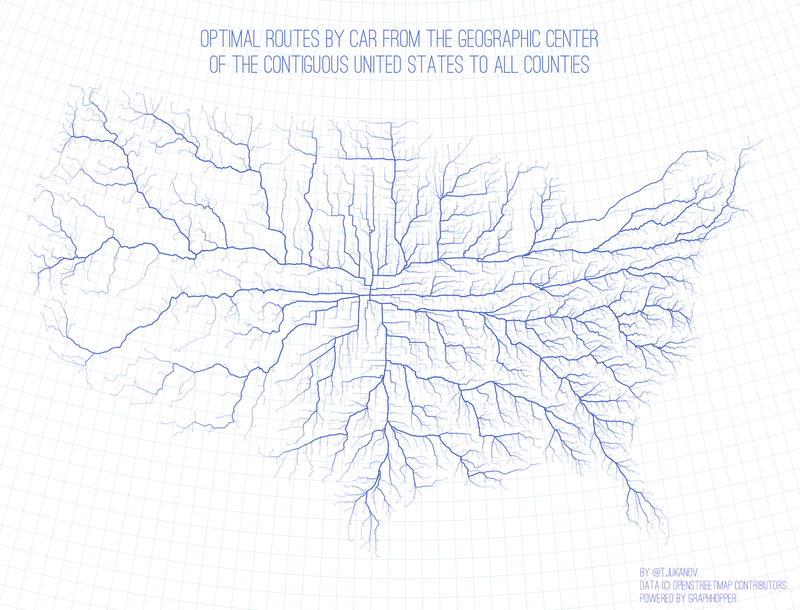 If you’ve ever done any roadtripping in the US, this map of optimal routes by car from the geographic center of the country to all counties will blow your mind. This entry was posted in Maps, Tech, USA and tagged gif, Mapping, spatial data, United States. Bookmark the permalink.